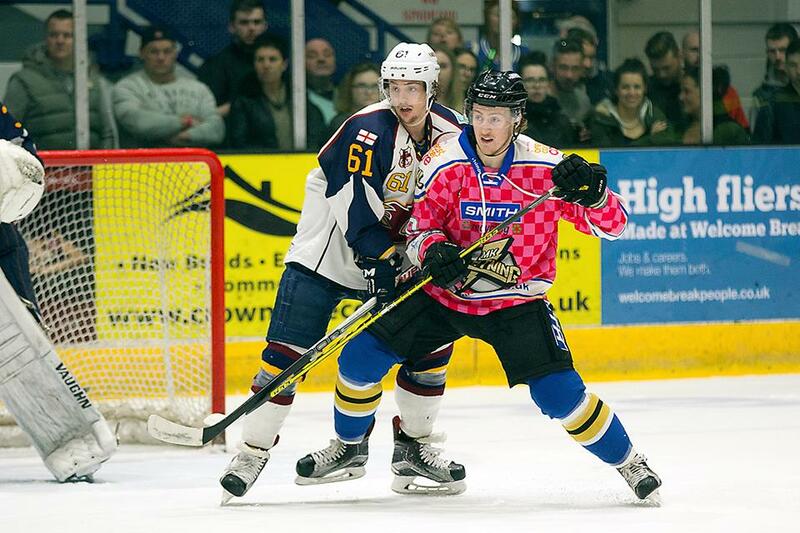 This weekend, Guildford Flames and Glasgow Clan will meet in the Elite League play-offs for a place in the Nottingham finals – but for the coaches, it’s not the first time they’ve met post-season. Paul Dixon and Pete Russell are the only coaches going into this weekend with any previous experience of facing each other from the four ties and can look back recently to their old battles. 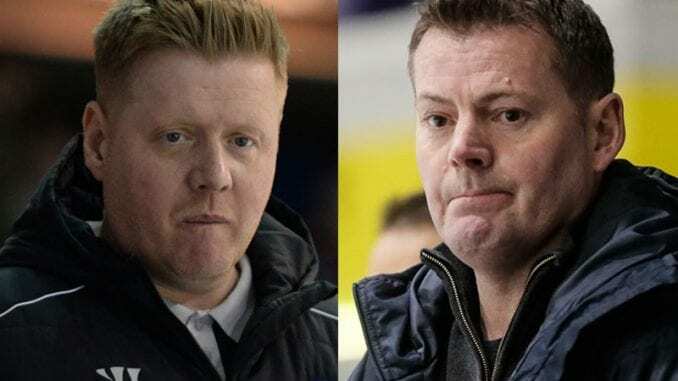 You have to go back to the old English Premier League when Dixon, coach of the Flames as he is now and Russell, formerly of Milton Keynes Lightning had two defining clashes in the final weekends in Coventry. In 2016 and 2017. The first meeting in the final as Flames chased their second cup of the season and they came up against a Lightning side who had enjoyed a good first campaign under Russell. 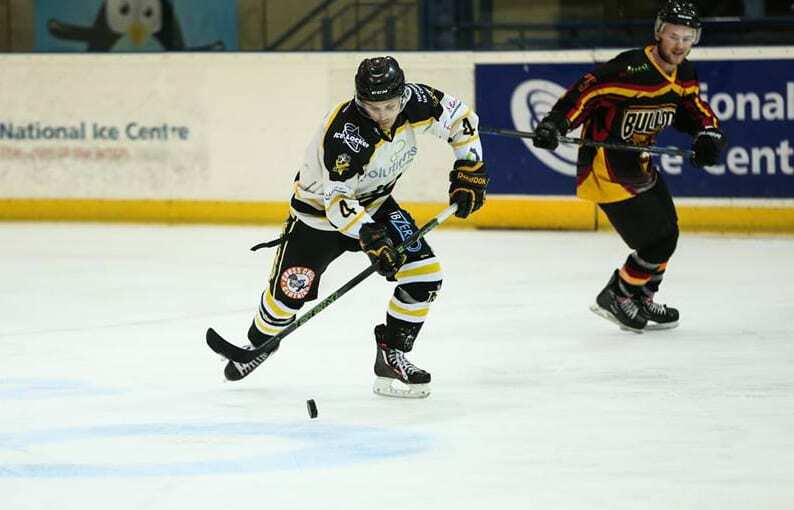 MK had come through a 2-1 overtime and penalty shots ordeal against then EPL champions Basingstoke Bison, while Flames had it comparatively easier in getting past Peterborough Phantoms to set up the Sunday showdown. Guildford took the initiative in the first period, going two goals up in the final stages of the opening frame as Kevin Phillips opened the scoring from a Tom Duggan assist, followed quickly by Matic Kralj with a second – both of which on powerplays. It was a blow to MK and they had to go three down before they could get themselves on the board as Janis Ozolins found the net for Dixon’s men, with Frantisek Bakrlik on target to give the Lightning fans some hope. Danny Meyers made it 4-1 as the game moved into the final ten minutes and while Lewis Hook struck, Flames extinguished Lightning with a quick fifth to end the game as a contest, with Andrew Hemmings on target. The 2016 final was capped off with a sixth for Guildford as Ben Campbell got another powerplay goal, making it four from six with the extra man which would have disappointed Russell on the day. Flames were winners to cap off a great season for them. 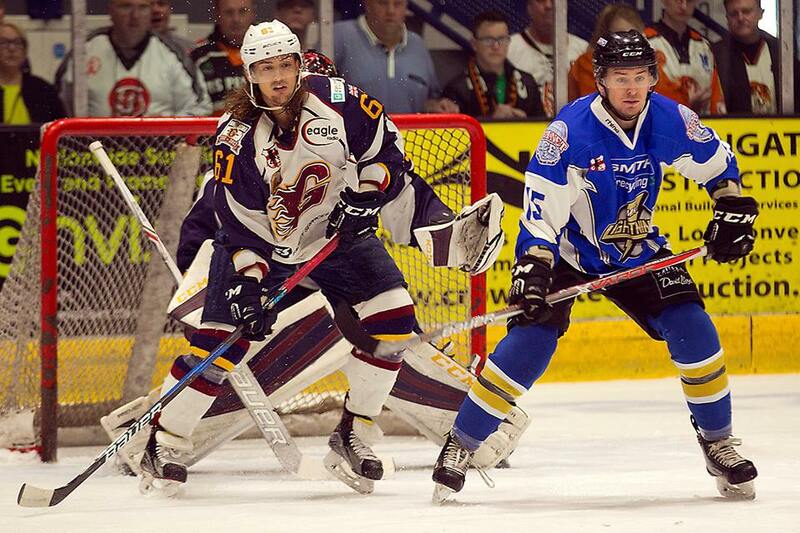 A year later, it was back to Coventry where both teams would go head to head in the semi-finals as MK, after finishing second in the overall standings, had the chance to avenge the result from the year before. It was an occasion where the game was even for 50 minutes, then one team burst to life in the final 10 to take the victory and this time, Russell’s MK were the side to take the win. Flames went ahead through Jez Lundin, a goal which was cancelled out by Tom Carlon before Tuomas Santavuori restored Guildford’s lead after the first interval. Blaz Emersic equalised shortly, but Lightning slipped behind again as Lundin got his second of the game at the halfway mark, with Emersic picking up his brace with five to go of the middle stanza. The game was locked in at 3-3 until Flames collapsed, starting with two goals in the space of 26 seconds at the 50-minute point, through Mikolaj Lopuski and Bakrlik, followed by another two courtesy of James Griffin, either side of Kari Sihvonen ejected from the game for Flames for roughing with five minutes to go. Emersic completed what turned into a rout with an empty net hat-trick goal to send MK into the final as Guildford relinquished their crown from the year before. With both teams joining the Elite League after the summer, Lightning signed off with victory in the final, crushing Telford Tigers 7-2. Now, two years on, Messrs Dixon and Russell meet again in the play-offs, this time when Dixon’s Guildford side take on Russell’s Glasgow Clan and the formbook is in Dixon’s favour, with eight victories in ten over Clan since joining the league. Russell, from his time in charge at MK and Glasgow has won five from 16 meetings in the Elite League, winning once in eight visits to the Spectrum. In play-off hockey, anything can happen, but who will progress in the last two meetings between these two coaches? We’ll have to wait and see. Highlights from the EPL game between Basingstoke Bison and Bracknell Bees on Sunday, 27th December.